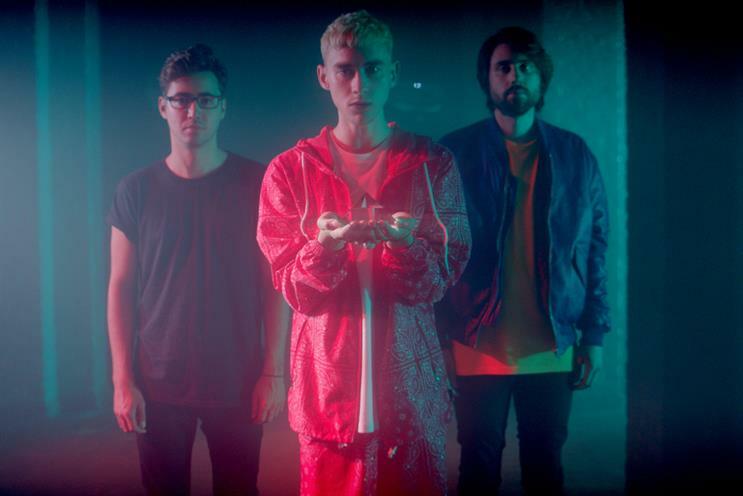 Years & Years, the British electronica music band, has partnered with Channel 4 to give viewers the chance to watch performances of its new single during an ad break. To coincide with the band's first album launch tomorrow, viewers will be able to vote for what performance of Shine they would like to see via Twitter. Viewers will be encouraged to use the hashtags #ChooseDark, #ChooseLight or #ChooseShadow, which relate to the type of lighting display used in the videos. The activity will be shown during the last ad break of 8 Out of 10 Cats Does Countdown. The performances will be available on the band’s website, Twitter and Facebook. The ad, which Channel 4 said is a global broadcasting first, will be produced by The Outfit, with Spredfast collating the real-time data. It will be directed by Fred Rowson through Colonel Blimp. Charlie Read, the founding partner at The Outfit, said: "This idea will mobilise Years & Years' socially active audience, put them at the heart of a content-led marketing strategy, whilst enticing the wider Channel 4 audience to take part as well. "The result is a unique interactive event that has been an enormous, highly collaborative creative and production challenge and C4 viewers will take control of the ad break for the very first time." The deal was brokered by Channel 4 Sales and Polydor Records' media agency MediaCom. Jack Melhuish, the marketing director at Polydor Records, said: "Years & Years are a special band and we felt it was important to do something special to celebrate the release of their debut album. "Giving fans and viewers the chance to control and direct a TV advert as it happens has never been done before and plays perfectly into the band’s ethos of rewarding their fans and always being on the cutting edge."